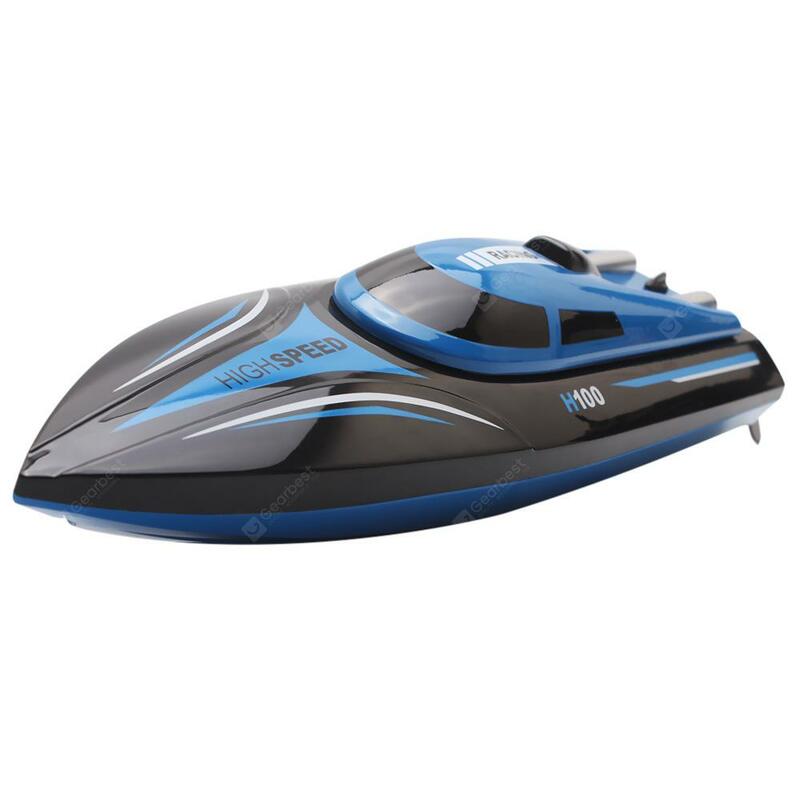 Skytech H100 RC Racing Boat - BLUE AND BLACK w cenie $35.99 | Chińskie kupony rabatowe, zniżki i okazje! Informacje o dostawie: Ship between: Feb 22 – Feb 27, Estimated Shipping Time: business days Order Processing Time may require a few days. Once dispatched from warehouse, Shipping (or Delivery) Time depends on the Shipping Method. Skytech H100 swims swiftly in the water – 30km/h. The brushed RC boat, fully sealed and protected from water, can sail at the high speed without off-course deviation. The water flow will not affect its course, as well as the sprays, billows, reefs, rocks and more. The vessel can retreat at any time in case of obstacles, and even if it is overturned, it will right itself automatically.